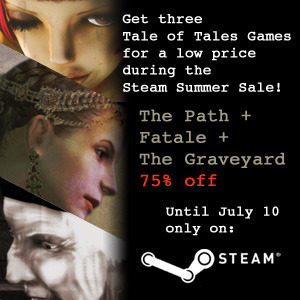 From June 30 to July 10 during the Steam Summer Sale you can get The Path, Fatale and The Graveyard on Steam for 75% off. 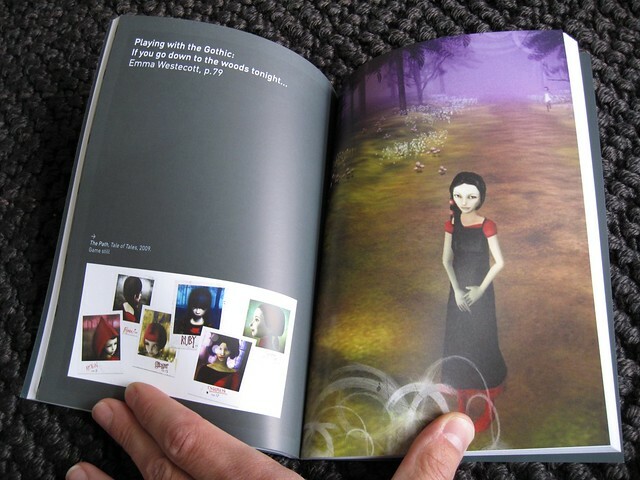 So if you’ve been waiting to fill out your Steam library with Tale of Tales videogames, now is the time! 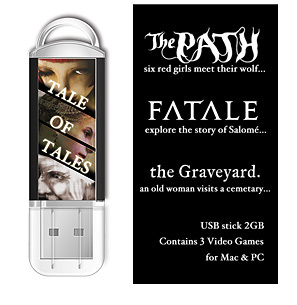 In one package you get Mac and PC versions of our 3 critically acclaimed video games: Fatale, The Path and The Graveyard. 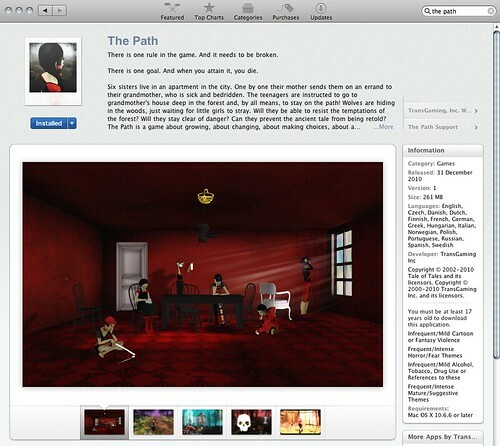 We are also including The Path Prologue, The Graveyard Trial, and extras for each. This is a beautiful way to show your support of our projects or a great way give the gift of unique interactive entertainment to a friend. 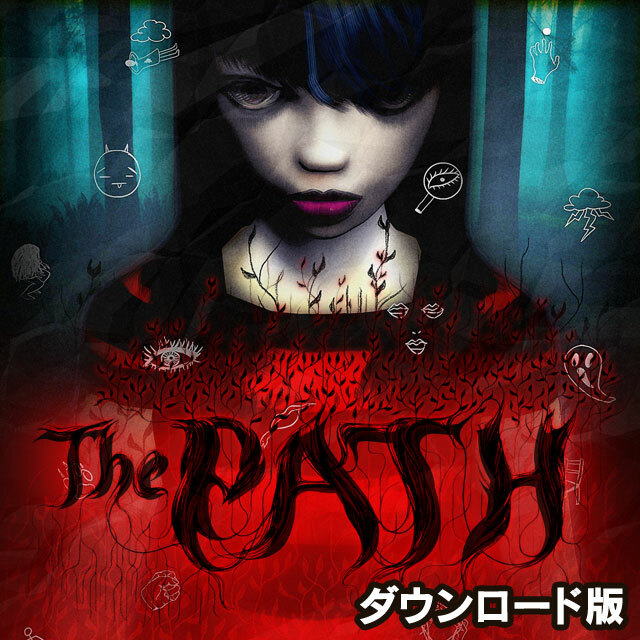 The Path is now available for download in Japanese language thanks to our partners at Zoo! You are currently browsing the The Path ------ development blog weblog archives for the Uncategorized category.